Interactive Games - Inflatable Maze - Giant Inflatable Maze, Giant Inflatable Maze Suppliers And Manufacturers At China BY-IG-006 - Guangzhou Barry Industrial Co., Ltd. 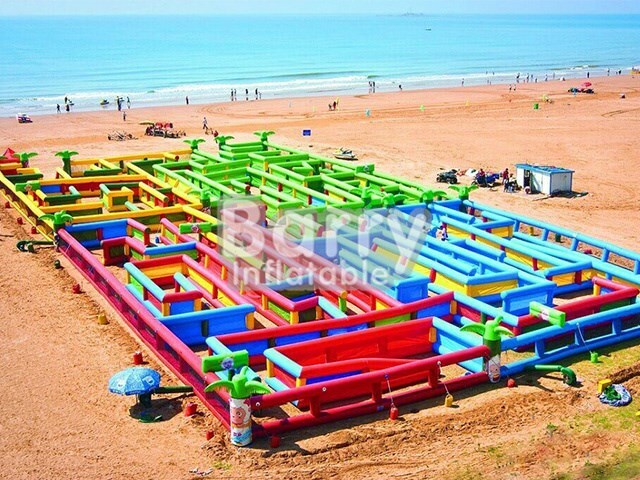 The giant inflatable maze on the beach is the biggest labyrinth in the world designed by a Germany Architect. The air maze game is with size of 60m x 30m and there are 6 doors. The owner can make adjust to the large labyrinth to make it easier or harder to get out. The large air labyrinth game is really a huge attractive on this beach and bring much fun to the tourist.